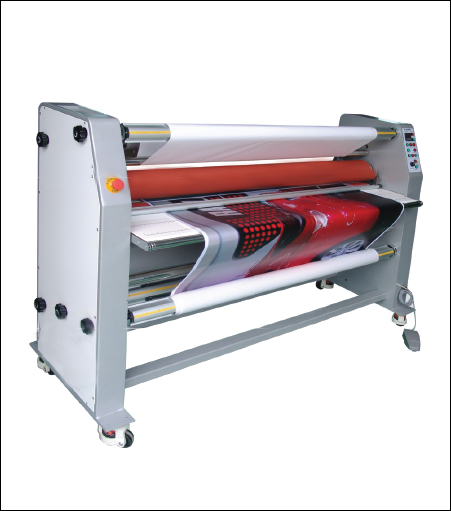 This laminator adjusts to accommodate up to 1" thick material. Has two hard rollers to resist tearing - the top roller moves up & down with push button controls. Comes with a footswitch to allow better control when feeding long and wide prints. Easy access controls (includes: emergency shut off, master on/off, variable speed dial, forward/reverse).